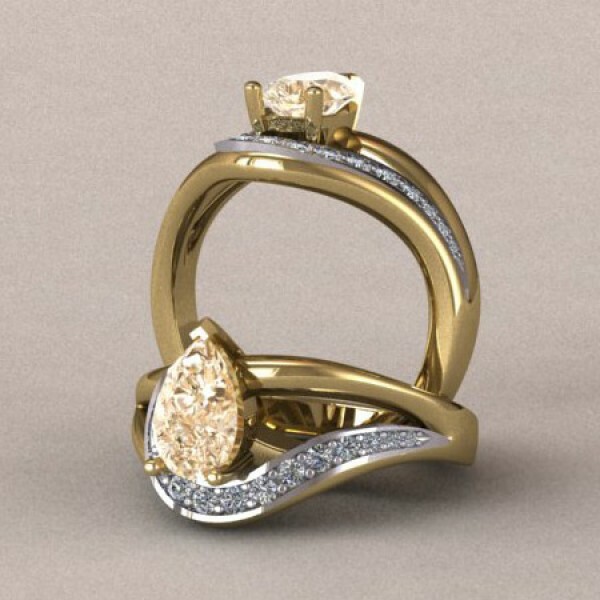 Pear Cut By Pass Swirl Engagement Ring - 14k White and Yellow Gold was added to your cart. A stunning 1.33 carat Champagne Pear cut center stone is surrounded by shinning yellow and white gold with simmering accents. This unique engagement ring has a total of 1.60 dazzling carats!